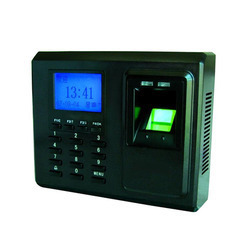 Our Biometric Attendance Machine has a finger print sensor of 5000DPI, which ensures high-accuracy and it has a high record capacity up to 100000. As we are backed by a well-developed network and modern transit facilities, we are able to meet the requirements of the customers located in Bhubaneswar(India). With the assistance of sophisticated packaging system and adroit professionals, we are able to provide flawless lot of products as we ensure complete safety during packaging.